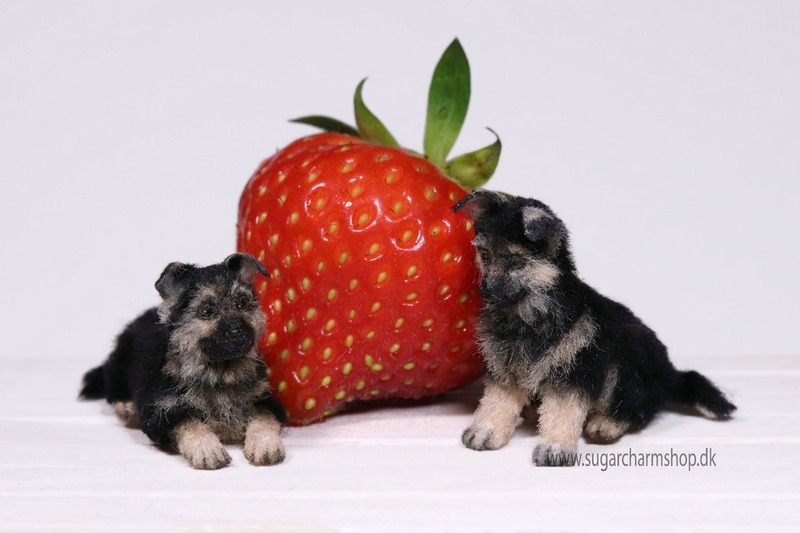 Had a small photo session with the german shepherd puppies yesterday, before listing them in the shop - I really like how this image turned out, there's something about fruit that just makes everything look even more cute, right? or is it just me? The strawberry is approx 3 - 3.4cm in height (without the leaves). Luckily quite a few of the things I've been wanting to make lately don't require any ceramics at all,. though a lot of them do, as always ^^'' is it too soon to post Christmas minis on instagram yet? I've been postponing making any yet, as I know I'll want to share them right away haha. But seeing as a lot of people are prepping for halloween at the moment, I feel like it may not be the right time... I'll give it a week or two, but I do need to make and list some before November starts - otherwise they might not arive in time, if sold.